Hello guys! I hope you had a good weekend! My weekend was great! I had some small projects done. You know when The Mr. and our son went to watch Transformers. It's time for my daughter & I to have some quick craft-time! 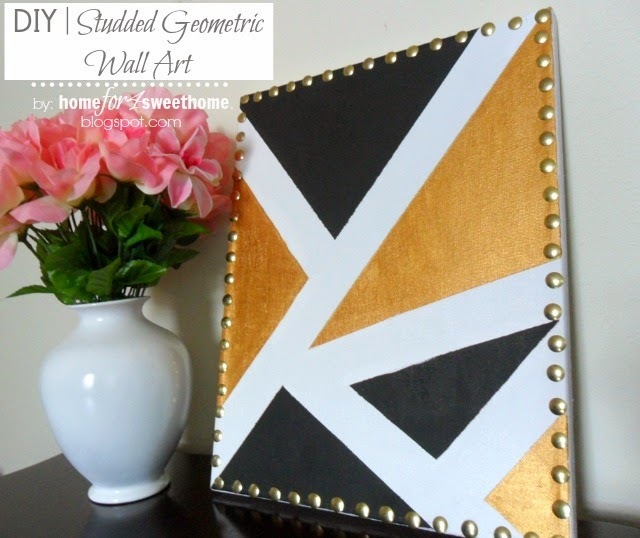 One of the crafty things that I did was to make a studded geometric wall art. I did not spend anything for this project because all the things that was used were already in hand. It started with a blank canvas (affiliate link). 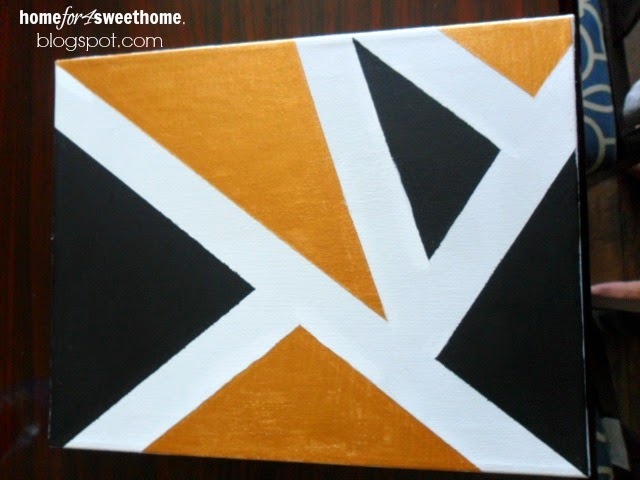 I did not have a specific pattern in mind but was just inspired with geometric shapes. 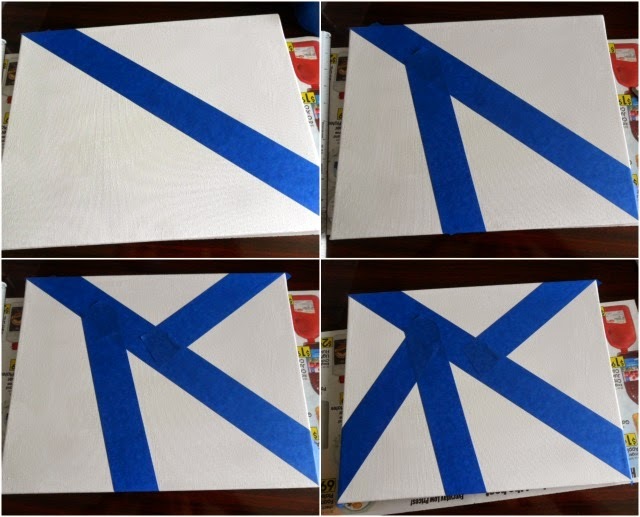 So based on that, using a painter's tape (affiliate link), I started taping off the canvas. 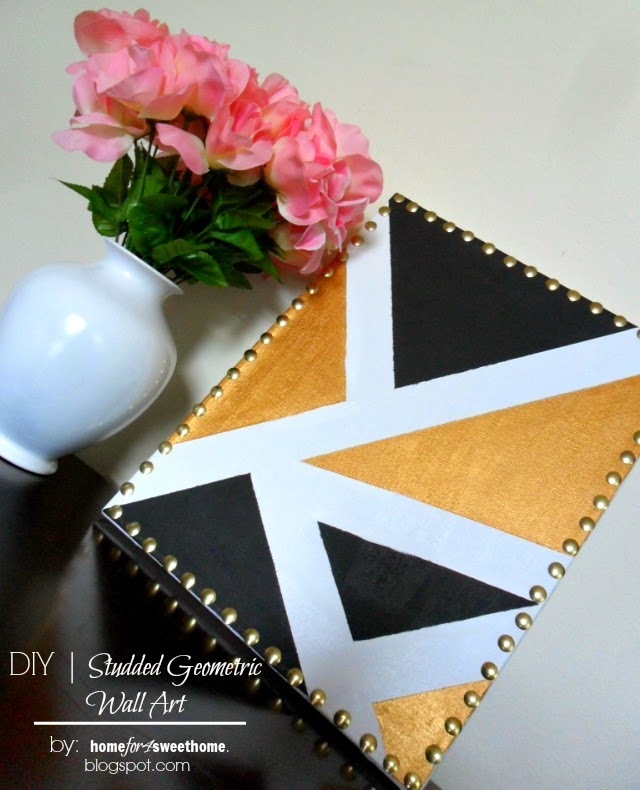 Using a copper and black craft paint. I started painting the canvas using a sponge brush. Quickly but carefully remove the tape while the paint is wet. Let it dry under the sun for about an hour. A little bit of touch up on the blots and I have this. I'm fine with a little bit of imperfections because that's what makes it mine. But it was not yet done. I'd like to give it a finished look. 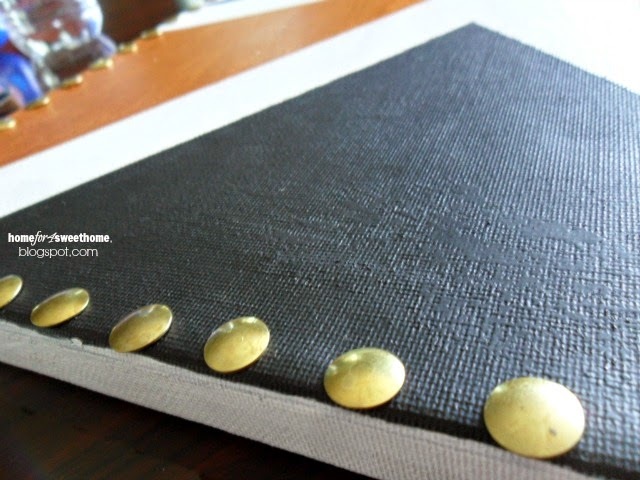 So I bordered it with gold thumbtacks (affiliate link). If you are going to do this, be prepared for some thumb action. So cool how this looks. 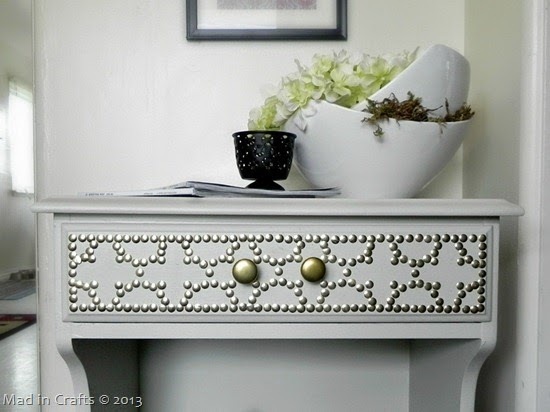 If you are looking for more studded (thumbtacks) project inspiration, see this one. Hey thanks for always stopping by and until then! Love it, how fun is that. What a great design and the colors are wonderful. How fun! While the boys are away, the gals will play! And I love it, it came out great! 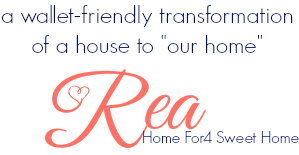 I love this project, it is so fabulous. Thanks for linking to Inspire Me.